I know, you’re already fretting about where your refund might be. The good news is that I’ve heard that refund checks are slowly making their way to your bank accounts. If you’re wondering where yours might be, you can check the“Where’s My Refund?” online tool at IRS: you can check on your status within 24 hours after the Internal Revenue Service has received your e-filed return or four weeks after you mail a paper return. The system is available pretty much all of the time but it does shut down from time to time for updating, specifically the system is unavailable every Monday from 12:00 am (Midnight) to 3:00 am EST. 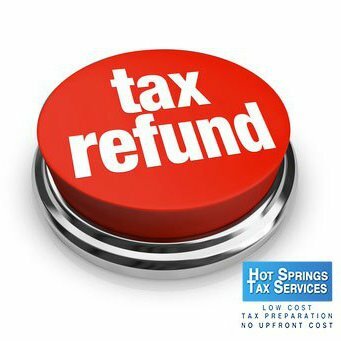 There are three stages of refund claims according to the system: (1) Return Received, (2) Refund Approved and (3) Refund Sent. Return Received means… well, you can figure that one out. Refund Approved means that the IRS has processed your return and your refund has been approved. The IRS will send your refund to your bank via direct deposit or directly to you in the mail if you requested a paper check. The fastest way to get your refund is by using direct deposit. Refund Sent means that your refund is on the way. If the IRS has sent your refund to your bank or other financial institution for direct deposit, it may take 1 – 5 days to deposit the funds into your account. If you requested a paper check, it could take several weeks for your check to arrive in the mail; the same time frame applies to debit cards. Expect to see your refund in hand within 21 days though, anecdotal, if you use a combination of e-filing and direct deposits, last year taxpayers reported receiving their refunds with ten days of filing (fingers crossed). 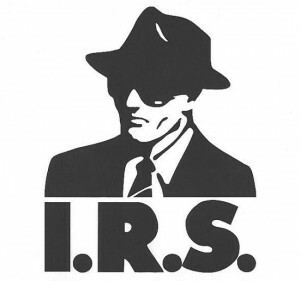 The system is only updated once a day (usually at night) so the IRS is imploring you to only check once a day – so many folks checked repeatedly last year that it crashed the system. If you have limited access to internet, the IRS does have phone and walk-in updates for refunds. With limited available resources, they’re not excited about picking up the phone – but they will (maybe). But you will have to wait. They can only answer questions in person or by phone if it’s been 21 days or more since you filed electronically, or more than 6 weeks since you mailed your paper return. It’s possible your tax return may require additional review and take longer. This can happen when the return has errors or is missing information. Take the extra time to double-check the return before you send it so that you can avoid any obvious and silly mistakes, like forgetting to sign the return. If there are other issues, like duplicate claims for dependents (happens with divorces quite often), injured spouse claims or identity theft or fraud, the IRS will have to investigate a little and that will slow your refund. If you need to file an amended return, be prepared to wait. Processing times alone for amended returns can take up to sixteen weeks. You can check on the status of refunds related to amended returns by using the “Where’s My Amended Return?” tool on the IRS website. And that brings up another issue: certain returns are a bit complicated. And processing times are longer for those returns. And you don’t want to wait. I know that you don’t want to wait because I’ve seen your emails – you know, the ones with all of your creative strategies for getting your refunds faster than you are supposed to. So let me help you out: don’t cheat to get your money faster. It’s simply not smart. Yes, I’ve seen and heard all of the tricks. Filing as HOH to get the refund now and amending later. Filing with more dependents than you’re entitled to and figuring it out later. Overstating deductions. Understating income. And I know that you’re going to explain to me that it’s fine because you know your Uncle Jimmy did it and he got away with it. Well, super for Uncle Jimmy. But the reality is that lying on your return is wrong. It’s also criminal. Even assuming that you don’t get charged criminally for fraud, the IRS does track patterns of tax behaviors. And if they notice that you happen to be the taxpayer who files for refund each February and amends each April, you’ll eventually be flagged. And in addition to slowing future refunds, you’ll also get socked with a pretty nasty punch. Trust me. These are the clients who end up in my office with a tax liability nearly two or three times the original amount owed once the penalties and interest have been piled on. It’s not smart. It’s wrong. And it’s completely not worth it. So there you have it. The quick and dirty state of tax refunds for 2014 to date. Unlike last year’s fiasco with the educational credits, I haven’t heard of any patterns of errors on the part of IRS or any specific software companies. I’m constantly checking for you and I’ll be posting updates as they are made available. Until then, be patient, be diligent and try not to rub that whole you’re-getting-a-refund thing in our faces. Some of us might be a little bitter. Learn about Topic 152. Discuss this on the Income Tax Forums. Please reply to this post when you submitted, were accepted, approved, and if you received your refund last night.